For customers who need a bamboo screen yesterday, our larger sizes are exactly what you need. 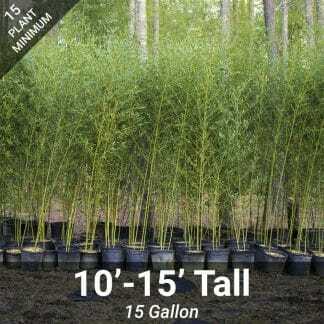 Browse our selection of large bamboo sizes and give your project a massive kick-start. Starting will taller bamboo can reduce the timeline to maturity by several years. 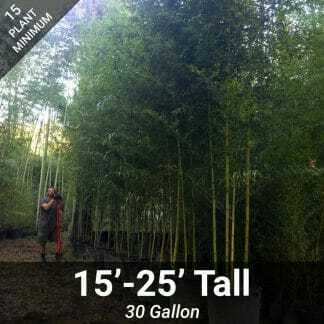 Larger bamboo plants are ideal for customer wanting an immediate screen or impact in their landscape. These large sizes range between 6′ to 25′ feet tall. Typical mail order sizes are 2′ to 5′ tall. 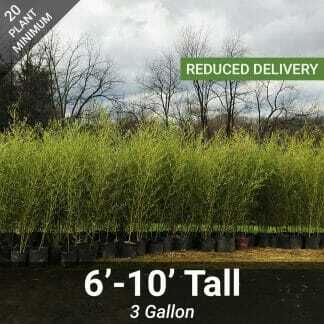 Unlike mail order sizes, these plants do not include free shipping. Minimum order quantities are require for these sizes.